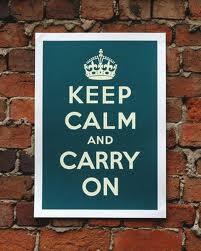 The Font of Knowledge: Accept your lot and carry on. This is an extension of a letter I sent in 2010 to a neighbour after an evening with her. It was not included with my list of reviews. On finding a copy in the book a few days ago I thought it worth including some further comments to the letter and adding the text to my list of reviews. Most of our Christian commitments to virtue and love for our neighbours (however horrible they are and however high is the fence between us!) may have been derived from the Stoics. The doctrine of universal brotherhood is inherent in their philosophy. I believe that the Stoics had a profound influence on the evolution of Christian morality and this view is supported by the author in the Introduction to the Penguin edition. You should read the introduction in the Penguin Classic edition. He was Emperor when he is believed to have recorded these thoughts as he was encamped in the German marshes while he was leading the Legions against the Huns. On reading his many precepts, adages and invocations, he strikes one at first as being complacent, smug and sententious, but as you absorb the spirit of his commitment to virtue, there is a strong sense of logic and spirituality to be found in those who, like me, are agnostics. I have stated in my autobiography that having discarded the Roman Catholic Church and the other Christian faiths as I became absorbed in the more secular writings of the Stoics, I found a new spirituality and a new comfort in the acceptance of my role as a transient entity in an unexplained universe. 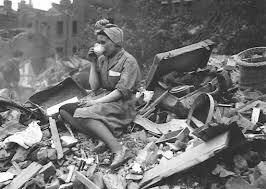 I prefer the joys and sorrows of life and its inevitable end to the meaningless immortality of the Gods. At least I am comforted by the genes I have left behind. 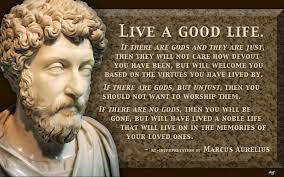 Whatever you find in the Stoics, as recorded by Aurelius, and however smug he appears to be, you will be struck by the logic of virtue and you will believe that being virtuous will make you a happier person. Under the Stoic interpretation of ethics, it is believed that the chief goal of Man is the achievement of happiness and happiness depends exclusively on virtue. Pleasure by itself is not good nor pain bad. They become so only when we judge them to be so. We must accept with resignation whatever should befall us. In our daily lives we see so many examples of the satisfaction people may have in making sacrifices on behalf of others. To-day’s globalisation and the widespread urge for more and more acquisitions do not make us happier people and it is clear that if we are to reverse the world’s descent to disaster, we must find a massive return to virtue and to self-sacrifice. Virtue may be admirable and often part of human behaviour, but it is at all times vulnerable to human failings such as the abuses inherent in power, privilege and prejudice. 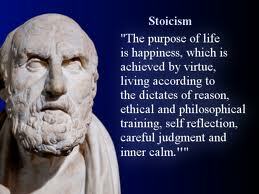 I have been greatly committed to the Stoic philosophy although my life has not been particularly virtuous. 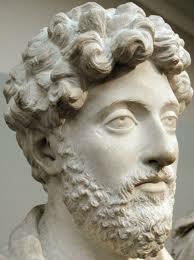 However, I was influenced by Marcus Aurelius and particularly in one respect. If you turn to book six of the Penguin book, page 97, para 30, you will discover his conception of what a man should be in a virtuous world. 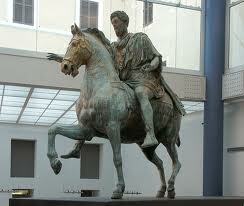 I believe that, in defining this paragon, his aim as Emperor of the Romans was to live up to his precepts. It seems to me that no community could possibly live up to the standards he sets (except perhaps the Cathars of Languedoc of the 13th century) but it occurred to me that there were a few of his lines which struck a chord in relation to my father. He was no paragon but I found among the Emperor’s recommendations some aspects touching my father which caused me in my late forties to enquire more about dad’s life and times, and to join my siblings to encourage Maryann Valiulis to write his first biography. It was later to lead to my further writings about him and his family. I hope that in my own two biographies of my father I have conveyed some of his virtues as a soldier and politician which would be approved of by his distinguished Roman predecessor. I have much pleasure in sending you the Penguin Classic edition of the Meditations. I hope you enjoy it. It is for dipping, a bedside book but not to be read throughout the night.